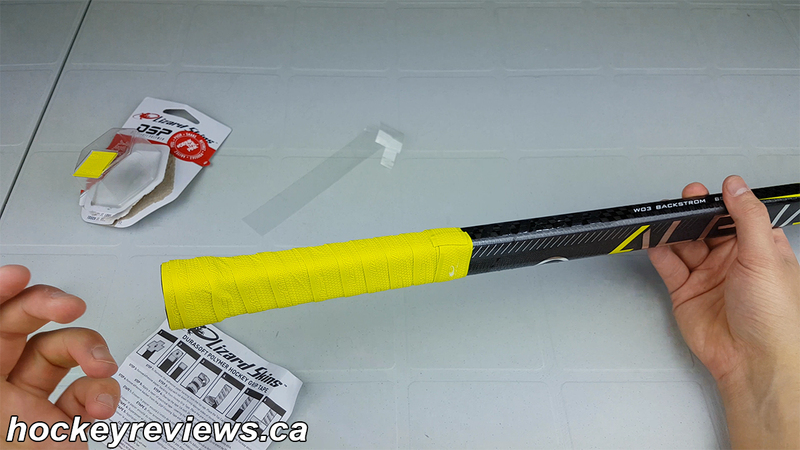 I like trying out different types of hockey grips for sticks, this Lizard Skins hockey stick grip tape is the latest product I have given a try. Previously I’ve used Tacki-Mac, Buttendz, Sniper Skin, and tennis overgrip tape. 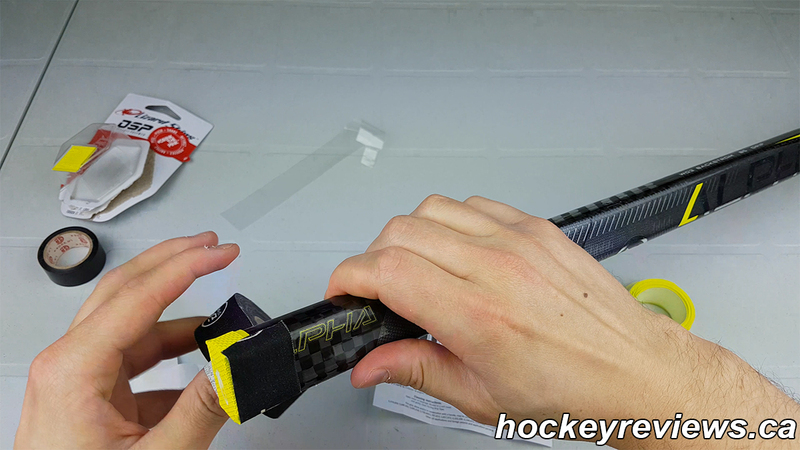 Like Sniper Skin and the tennis overgrip, Lizard Skins allows you to customize your grip by putting hockey tape directly on your stick before wrapping the Lizard Skins around it. 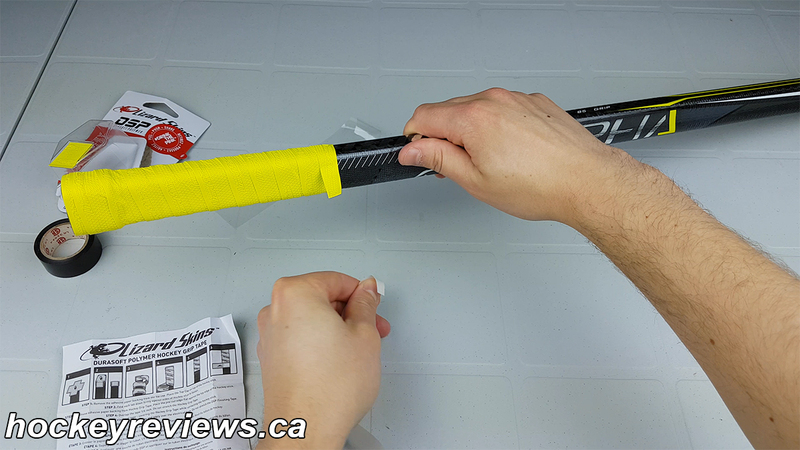 Here is a video and instructions on how to install the Lizard Skins hockey grip tape. 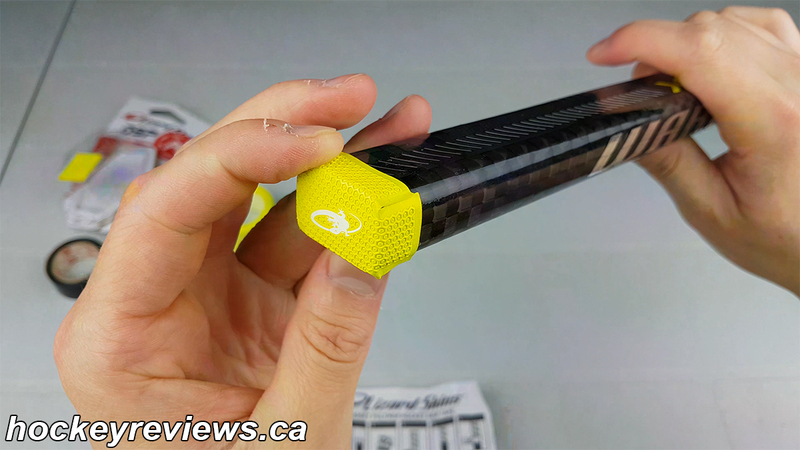 Lizard Skins adds 11 grams to your hockey stick. 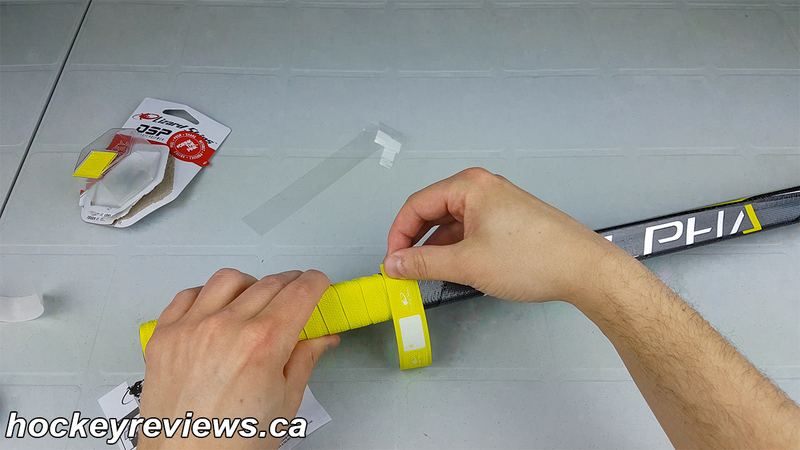 Pull the protective film off of the buttend cover and align the cover over the buttend of the stick. The buttend cover has 2 longer sides so align those with the longer edges on the stick. Once aligned on the buttend fold the flaps over and apply pressure to stick the buttend cover onto the shaft of the stick. 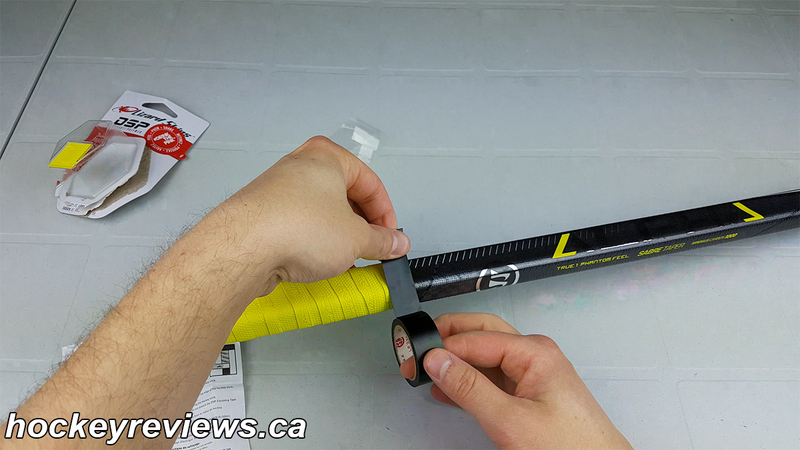 Tape the the preferred pattern on the stick with standard hockey tape. Note you do not need to tape down the shaft, just the knob or the raised spiral edges. Unwrap the Lizard Skins grip tape. 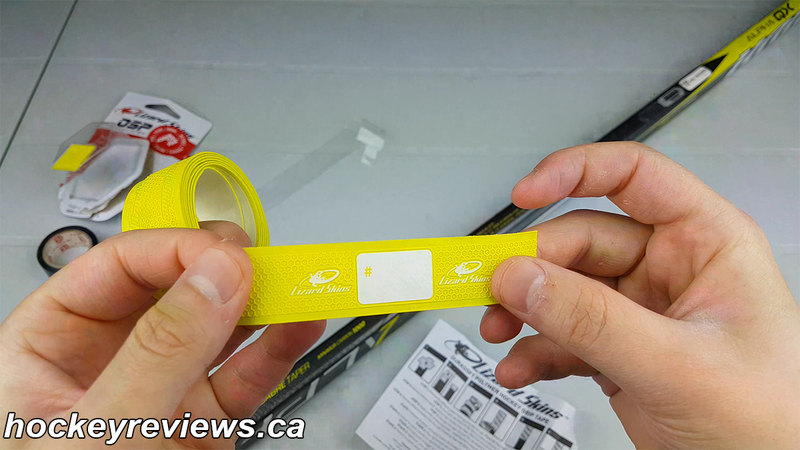 Find the thin end of the tape and remove part of the protective film. Line up the straight edge of the Lizard Skin grip with the top the top edge of the stick. Apply pressure to the Lizard Skin to attach to the stick, and begin to wrap the grip all the way around the stick. 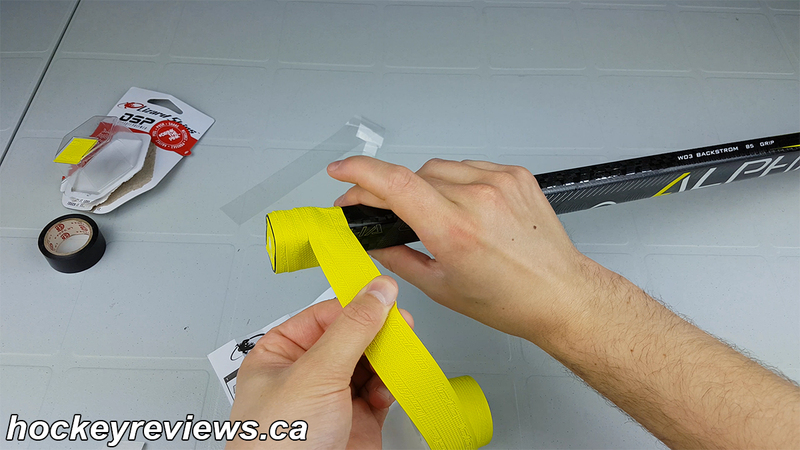 Do not stretch the tape like you would hockey tape. 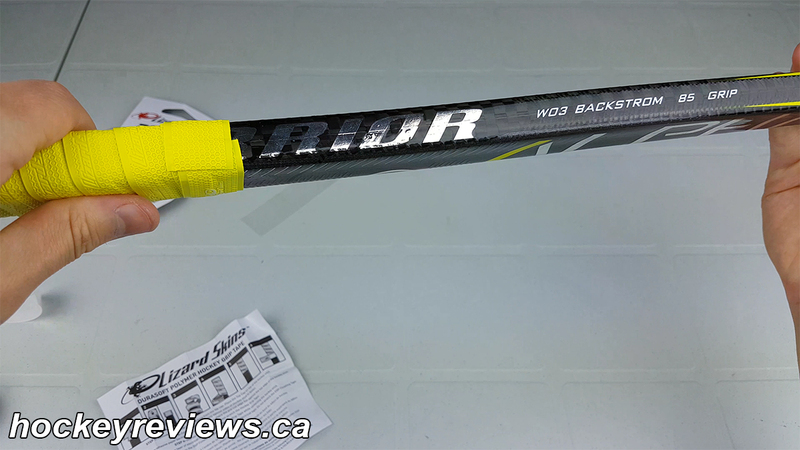 Stop when you reach the thin edge that was initially applied on the top of the stick. 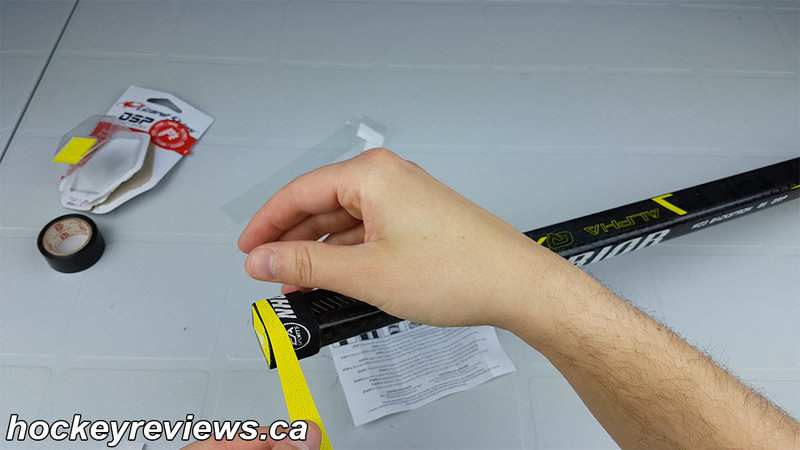 Continue to wrap the stick but on an angle downwards while overlapping the Lizard Skin tape ¼ inch (about ½ a cm). 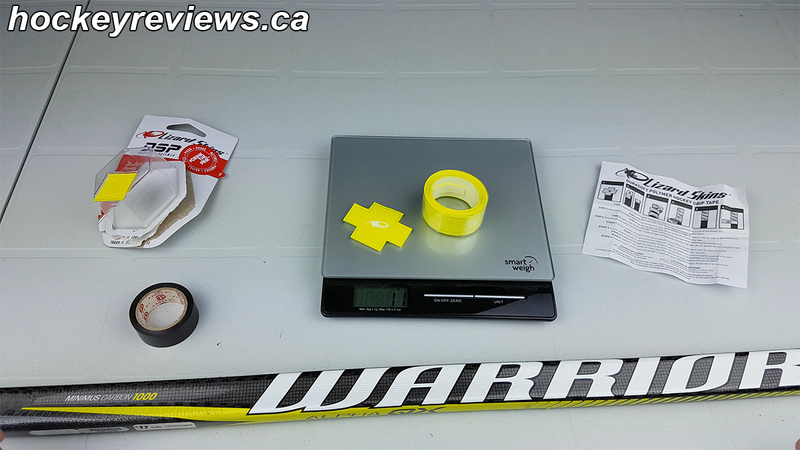 Continue wrapping down your stick until the Lizard Skin tape grip becomes thinner again. 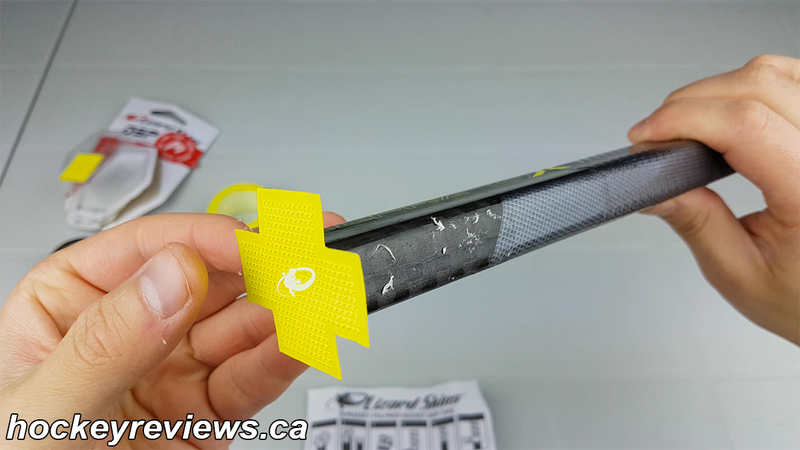 Begin to overlap the Lizard Skin tape at the thinner portion, so the bottom edge is straight across the stick and all the way around and you run out of grip tape. 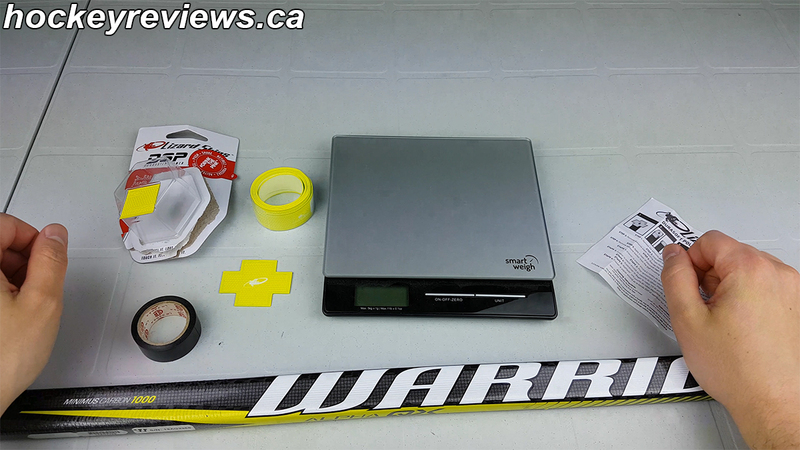 At the bottom of the wrapped Lizard Skin tape, wrap a single piece of electrical tape covering half of the Lizard Skin tape and half of the hockey stick. 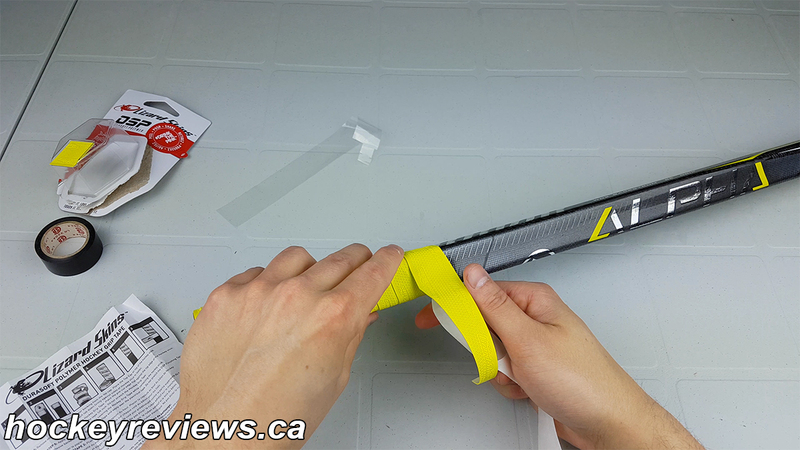 Remove the adhesive backing of the finishing strip and place it overtop of the electrical tape. Enjoy your new Lizard Skins hockey grip tape.